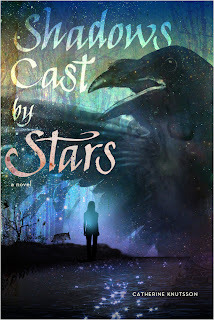 Today I'm pleased to welcome Debut Author Catherine Knutsson who is previewing her novel SHADOWS CAST BY STARS due out with Atheneum (Simon & Schuster) in 2012. Now let's answer some questions answered, shall we? Good question! As an author, I'm intrigued by the shadow side of life, skeletons in the closet, multi-generational wounding and healing, that sort of thing. I think it goes back to OTHELLO, and trying to understand why Iago did what he did or something (in other words, high school is haunting me!). As a reader, I know that I'm often attracted to dark works because I'm looking for a light at the end of the tunnel, and a sense of hope, and also, I like wondering what I would do if I were placed in, say, Katniss's place - would I make the same choices? Would I do any better? (Probably not!) And there's something about reading about a wounded character healing that I find really moving - the scars we wear shape us, give us our histories. That, to me, is a beautiful thing. If SHADOWS BY STARS had a theme song, what would it be and why? I came up with two (hope that's okay!). 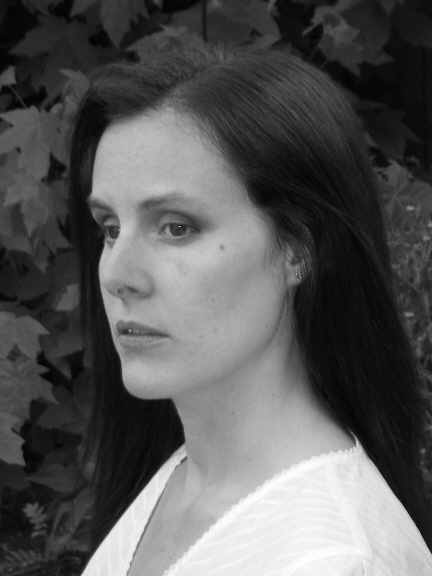 The first is THE KINGDOM, by Jesca Hoop, because it's sort of symbolic and melancholy and otherworldly and mythic. And it has the lines: "You must go to the battlefield/And follow the cry of men rampaging/And gather the ones that won't heal", which is a large part of Cassandra's journey. The second song is SONS AND DAUGHTERS, by the Decemberists. This one, I admit, I didn't come up with on my own. My agent is the one who said it reminded her of SHADOWS CAST BY STARS, and I agree - the sense of building a home out of nothing, of turning away from what once was towards something new, something with more hope. 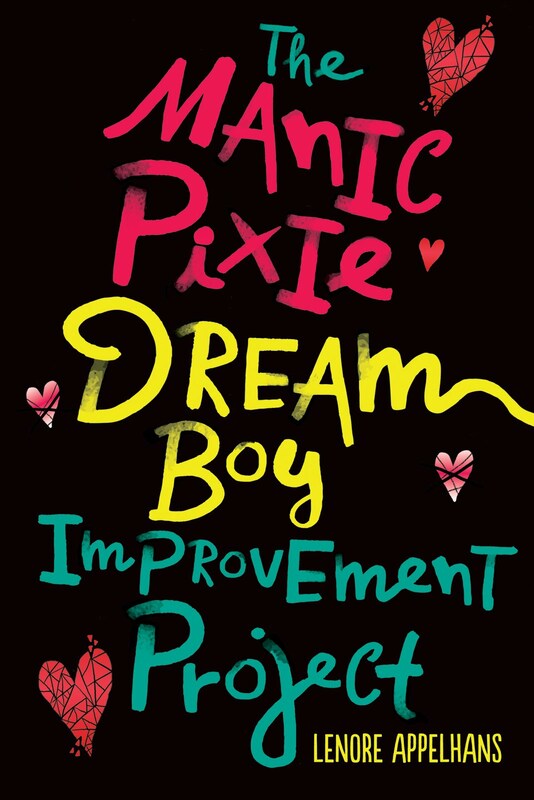 What fictional character from another book would Cassandra chose as her best friend and why? I'm pretty sure Cassandra would find Ayra Stark from THE GAME OF THRONES, a kindred spirit, and probably Kate, from PLAIN KATE, too. Survivors, characters on the outside, girls who are trying to live authentically in the face of difficult circumstances. I think, if they were ever to meet, they'd find they were sisters of a sort. 2. 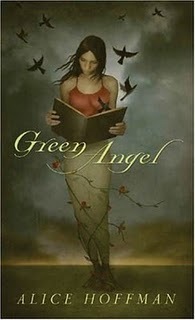 GREEN ANGEL - Alice Hoffman: another book that made me want to be a better writer. So poignant and sad, and such beautiful writing. 3. THE CHRYSALIDS - John Wyndham: I read this in junior high (I think) and I've never forgotten it. That, to me, is the hallmark of a good book, one that stays with you forever. 4. LORD OF THE FLIES - William Golding: another one I read in school. This book is never far from my thoughts when I write. The scene with Simon floating in the water haunts me to this day, and it sneaks into my writing all the time. 5. THE ROAD - Cormac McCarthy: I know this one isn't everyone's cup of tea, but I admire how fearless and relentless and terrible and unflinching it is. 1. Climb the Great Pyramid at Giza. How does your novel stand out from other dystopian/post-apocalyptic fiction out there? I guess, what makes SHADOWS CAST BY STARS different is that it was inspired by aboriginal culture, history, and story. About ten years ago, our family learned we were Métis, and for a variety of reasons, all of which are very painful and sad, our heritage had been kept in the shadows. I think that set all of us off on a journey with a steep learning curve, trying to understand what this really meant, and how it affected how we saw ourselves and the world around us. My journey brought me to writing SHADOWS CAST BY STARS. Strangely enough, I never intended to write a book infused with First Nations spirituality - in fact, when I originally started the story, I though it was going to be centered on Arthurian mythology (that’s still there, lurking around the edges). But, then I started thinking about blood quantum, and cultural heritage, and the damage people do to each other (among other things), and the book took a turn. Cassandra was going to be a healer, and she would need to walk some dark paths to address these difficult issues. That’s when the raven showed up, and not just any old raven, but the raven of First Nations legend, the one who stole the sun, the one who pulled the first humans from a clam shell. And then, some other supernatural creatures decided they had plans for Cassandra too. Often, as I was writing the story, I’d stop and stare at the page, and think, where did that come from? 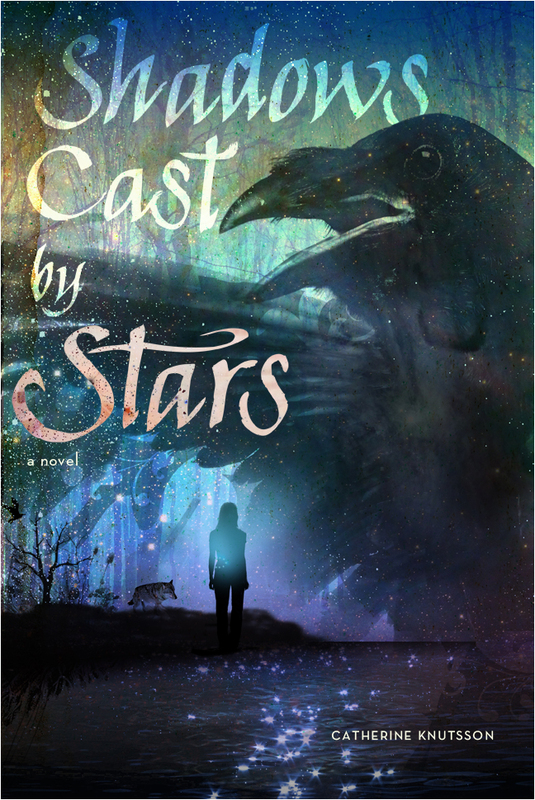 But, since SHADOWS CAST BY STARS is set on the Island where I live, (and parallels, in some ways, the journey I’ve been on, learning more about my Métis ancestry and all that entails) the best answer I can come up with is the novel is part of the land, and the supernatural creatures in SHADOWS CAST BY STARS are part of the land too, which is sort of the kernel of this story. Such a cool interview! Sounds like a great story, and very unique. I look forward to getting the chance to read it! My daughter just picked up Green Angel the other day, and read it in one sitting. Then she told me that it was a must read and that I would love it. Glad to see it was in Catherine's top five. I also find the inspiration for her story to be really interesting as well, and wouldn't mind reading this one when it comes out. Great interview, Lenore and Catherine. Thanks for sharing it! Great interview! Very thoughtful and a lot of meat from this writer. Can't wait to read the book!